An evergreen tree is fairly easy to recognize. Unlike decidious trees that shed their leaves, evergreen tree retain their rich green color year-around. Evergreen trees are found in every state in the United States. Many species are native to North America, others have been introduced. Millions of evergreen trees grow wild, while millions more have been planted as windbreaks, privacy screening, to help control erosion or to build fences and barriers. Evergreen trees are an important design element in both private and commercial landscaping designs. Conifers are evergreen cone bearing trees. 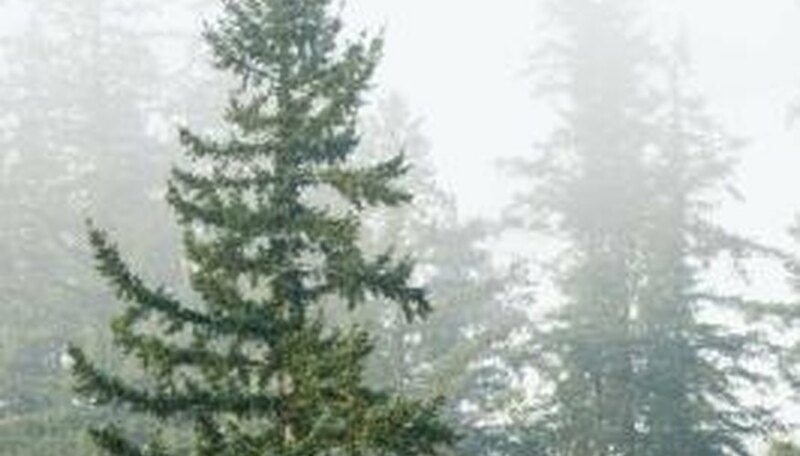 Conifers found in the United States include white spruce, blue spruce, black spruce, red pine (also known as Norway pine), northern white cedar, eastern red cedar, jack pine, Ponderosa pine, balsam fir, Douglas fir, hemlock and Jack pine. 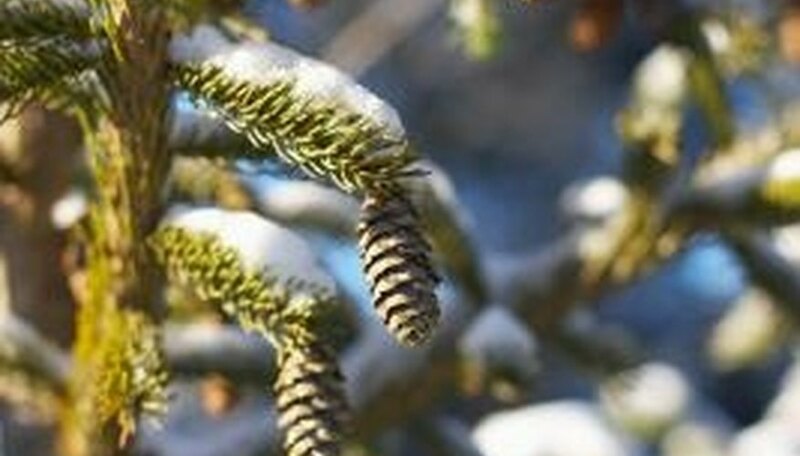 The shape, size and color of conifer cones helps to establish the identity of the tree. Cones provide seeds for future propagation and serve as a food source for birds and small animals. The bark of evergreen trees serve a wide array of important functions, vital to the life of the tree. Bark is a waterproof, protective shield against moisture loss through evaporation. 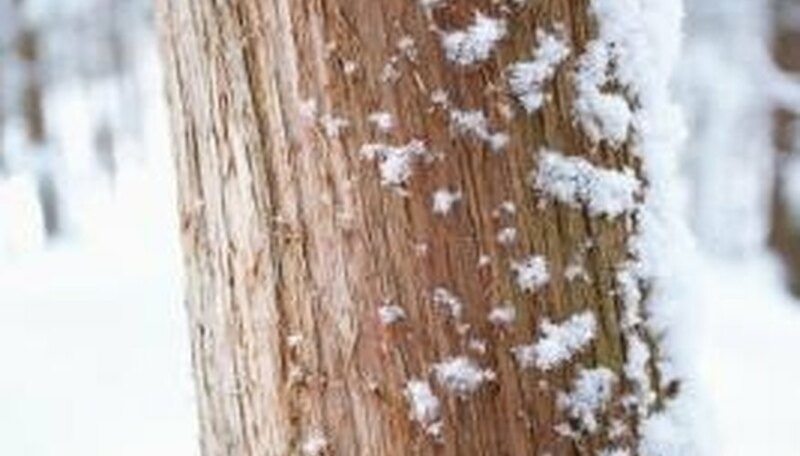 Bark protects the tree from extremes of hot or cold temperatures and offers a barrier against disease or insect infestation. The bark of evergreen trees can vary from quite thin to bark that is up to a foot thick. Each species of evergreen tree has its own distinctive bark. The bark of evergreen trees varies by color, thickness and texture. Bark may be brown, yellow-brown, reddish brown, dark brown, cinnamon, silver, gray or black. Note the fragrant essence of the tree. Crush a bit of the bark, a few needles and breathe deeply. 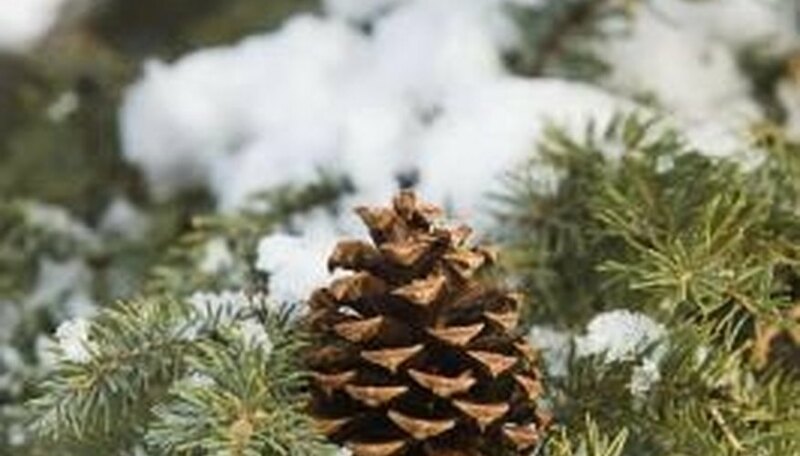 Cedar, balsam, spruce and fir have distinctive scents, particular to their species. The scents are pungent, herbaceous and invigorating. 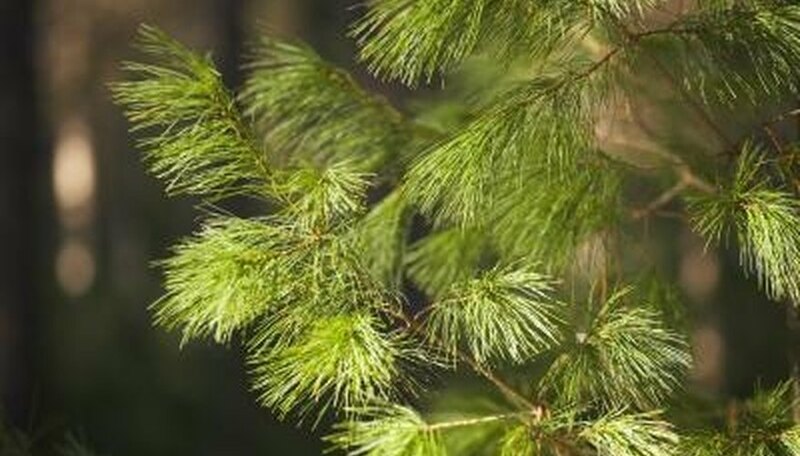 The "green" scent of evergreens is used to add fragrance to perfumes, lotions, soaps, shampoo, candles, cleaning supplies and air cleansing sprays. Different species of evergreens grow at different elevations or climate zones. Norway and Sitka spruce survives in brutal, windy weather conditions, tolerating temperatures that reach more than 30 degrees below 0 F. Pinon pines flourish at low altitudes in desert conditions.